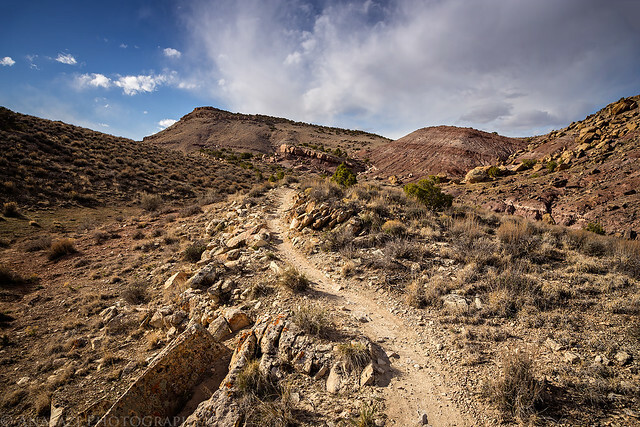 After hiking the west side of the Moore Fun trail last week, I headed back to the Kokopelli Trailhead after work this evening to hike the east side of the trail to it’s high point. While the trailhead was actually closer to the high point on this side, the trail was full of switchbacks and the length was a bit longer. With a storm moving across the valley it was very windy the entire hike but I did manage to miss the rain and I wouldn’t see the first raindrops of the incoming storm until I was almost home. 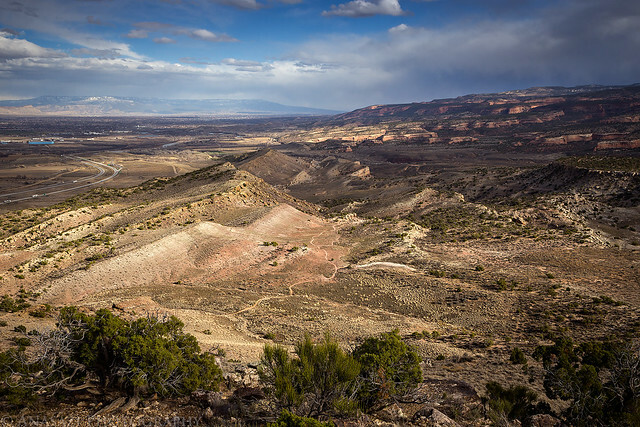 Looking back towards the trailhead and the Grand Mesa as I climbed the Moore Fun trail. There’s the high point…straight ahead. 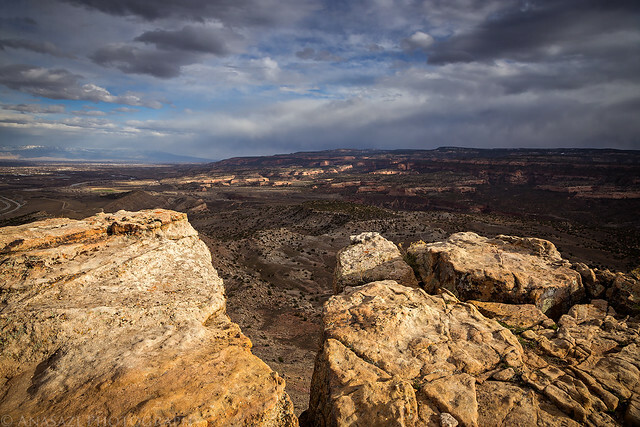 Overlooking the Moore Fun trail below. 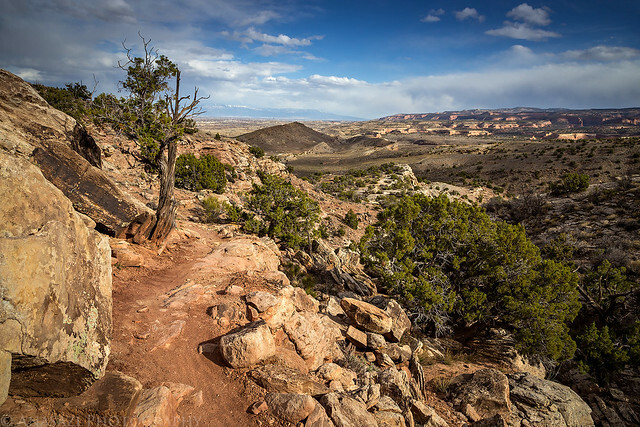 A view from the high point of the trail where I turned around. Shortly after I took this photo the sun would hide behind dark clouds and not return again for the rest of the evening. 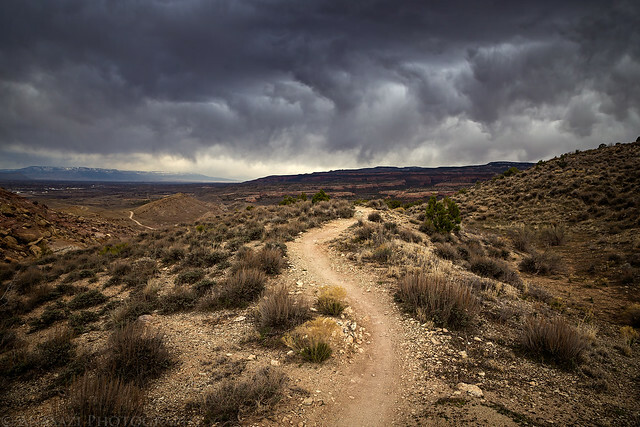 Dark clouds moving in as I hiked back down to my Jeep at the trailhead. Since I’ve now completed hiking the entire Moore Fun trail, I’m including the map below.